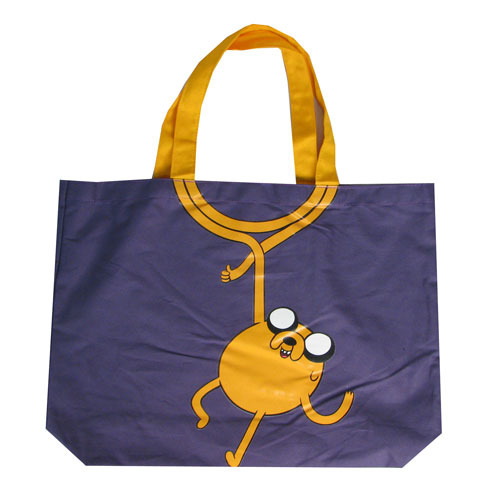 Jake''s amazing elasticity is superbly demonstrated in this Adventure Time Jake''s Arm Canvas Tote Bag that spotlights the shape-changing pooch from Adventure Time. Jake''s arm forms the handle of the bag! Tote bag measures 19-inches wide x 14-inches tall.